Composite is the material we use to fill cavities today. Composite has many benefits, but most popular is the ability to match your tooth's natural color. This makes them virtuarlly invisible. Fillings are bonded to the tooth after the cavity is removed. 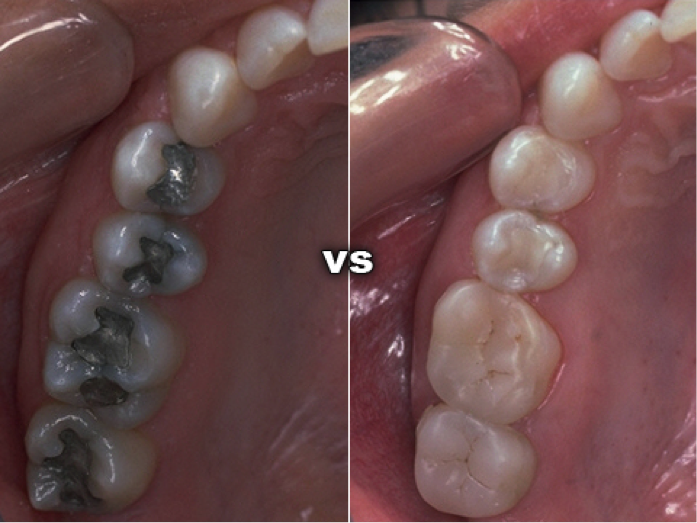 Many patients choose to replace their old silver (amalgam) and gold fillings with composite fillings. We recommend this when we see a problem with the existing filling, such as leakage, fracture, or recurrent cavity. Please add your Content here!